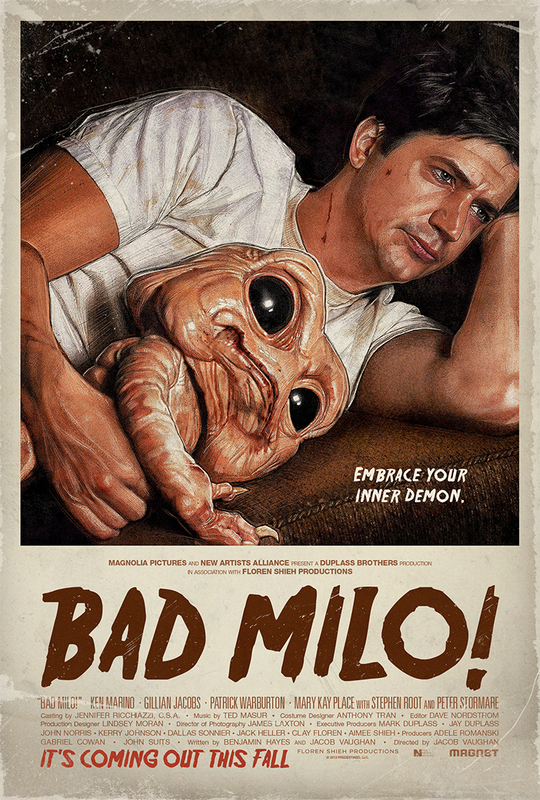 Just announced: Film Poster/One Sheet I illustrated for the film Bad Milo. And picked up by Ain't It Cool News! Some really nice words on the poster design from both of these sites - Thanks so much guys - pleased you dig it! Kudos to Gravillis Inc great working with them again. @paulshipper Thanks, man. Really love your work. So pleased the stars aligned this way.